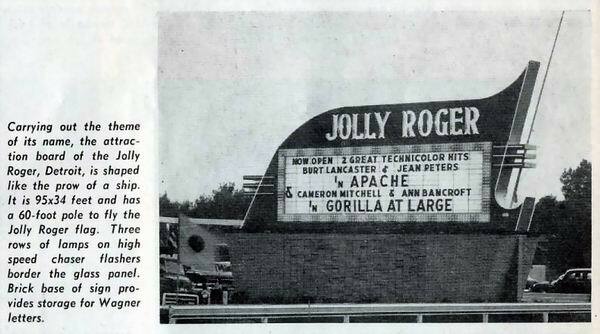 I worked at the Jolly Roger in 68 / 69 (?) Best job ever. 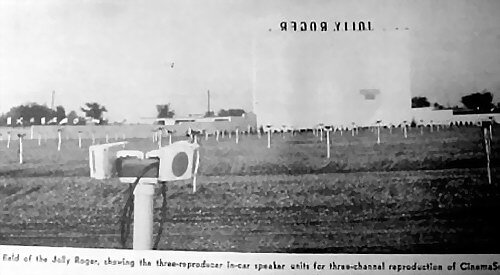 Hated having to repair the speakers, and straightening the post. Popcorn was free, and I could always sneak in my girlfreind / s to see the movie. 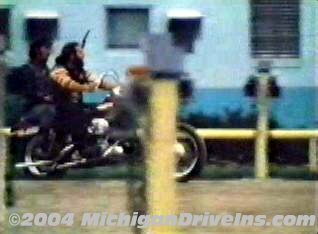 The movie Easy Rider was the biggest show at the time I was working. 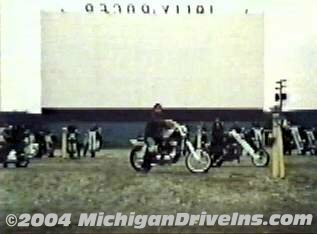 Remember having to go thru the lot after the movie and sometimes waking people up to go home. 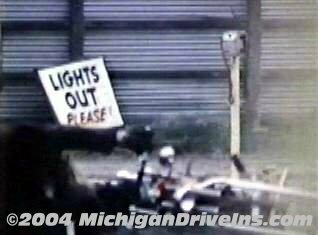 One of my favorite childhood Taylor, MI memories is watching To Sir With Love from the roof of our family station wagon in the summer of 1967. 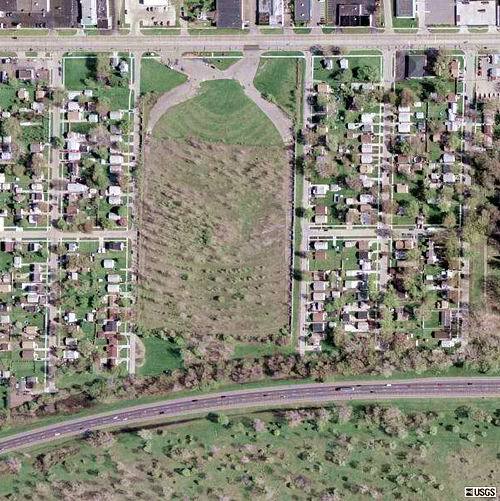 Life changed in Detroit shortly thereafter. 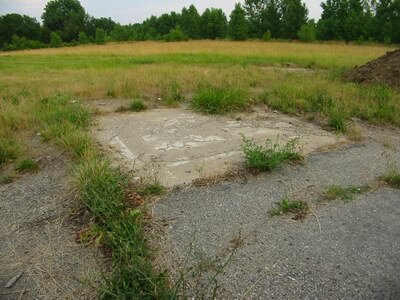 For me - that summer night will always be the end of innocence I will always remember the Jolly Roger fondly. I worked as the ticket girl in the both at the entrance in my junior year in high school (1967-68). What a great job it was. My boss, (shame on me for not remembering his name), was one of the nicest I've ever had. I began dating while working their, so we were able to watch many movies, favorite being, To Sir With Love. Many fond memories as a youngster, a teen and as a Mom with 2 children, that will always be with me. 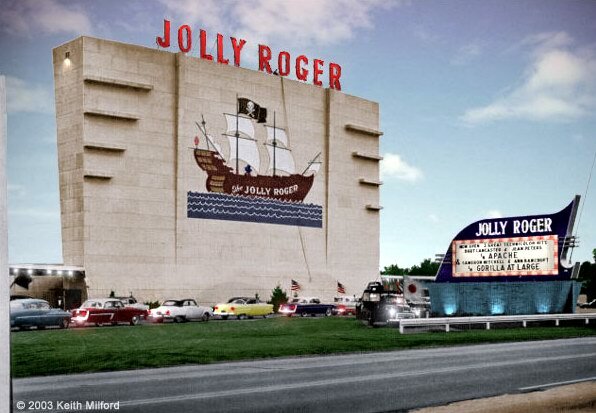 To this day I am grateful to have been part of the Jolly Roger Drive In, a true classic. 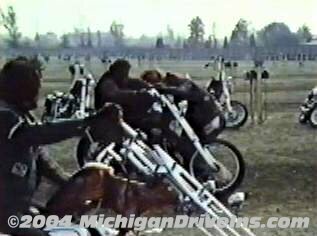 The movie Northville Cemetery Massacre was actually filmed in 1972 and not released until 1976 (IMDb). 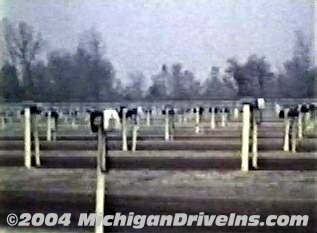 Hence, the pictures below are actually from 1972. 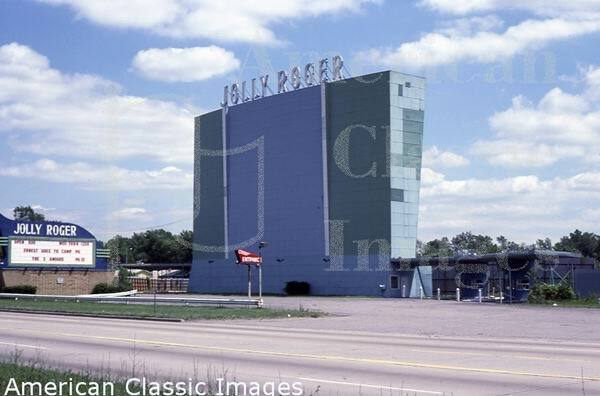 I work at the jolly roger summer of 77 to fall of 78. Best job I ever had. Saw a lot of movies. Met my wife, had a kid. Those were the days. I saw the original Godzilla there the one with Raymond Burr, I did not realize that the theater was almost bran new. 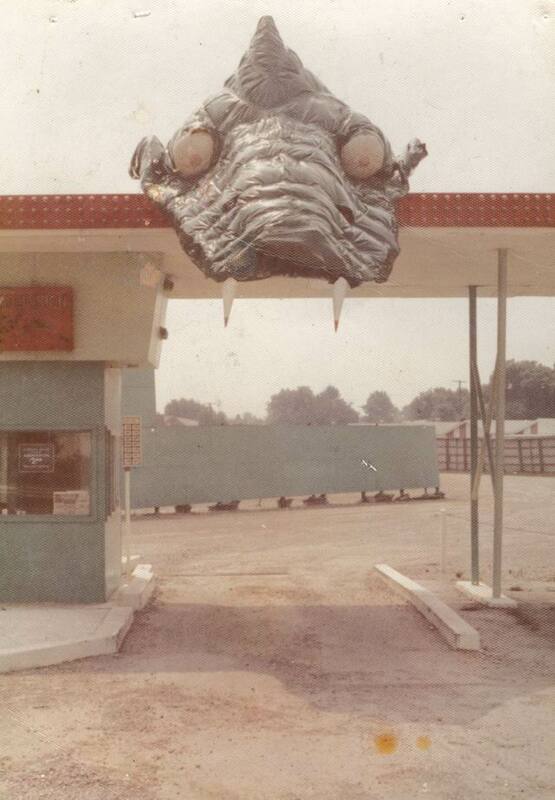 I worked there for a couple years in the mid 70''s. It was a great place to work at in the summer. the pits in the winter time. I built an electronic ''exit'' alarm to be used to monitor for people that tried to sneak in. 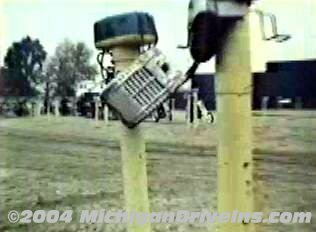 I think it was the only drive in to have such a device at the time. 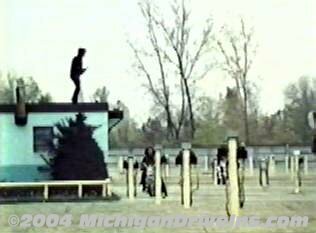 The movie that was made there, Northville Cemetary Massacre was shown in Northville 2 years ago at the ''Little Theater'' on Halloween night. 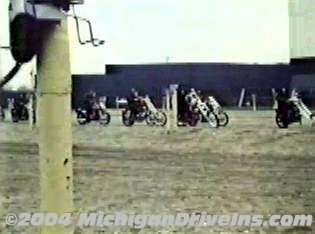 Downtown Northville had bikes parked from one end to the other (remember October 31). 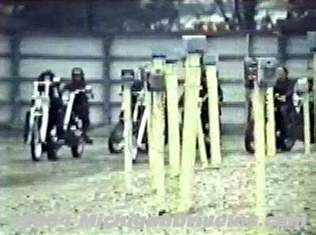 The actual bike clubs were the Scorpions and the Road Agents. 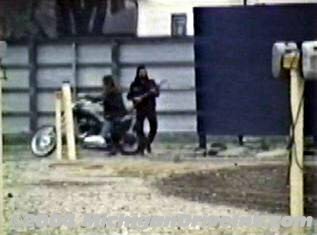 I knew a number of the Road Agents at the time and I took some home movies of some preliminary things going on before any actual movie footage was shot. I lent that and some other stuff with Evil Kneival and a biker wedding to a friend and I don''t think I ever got it back, at least I can''t find it. 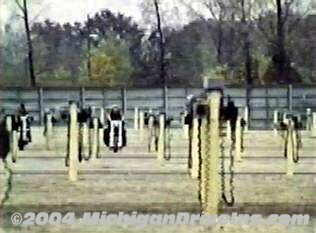 I talked to the maker of the movie at the showing in Northville and he said if I could send it to him he would put it in the outtake footage on the DVD. 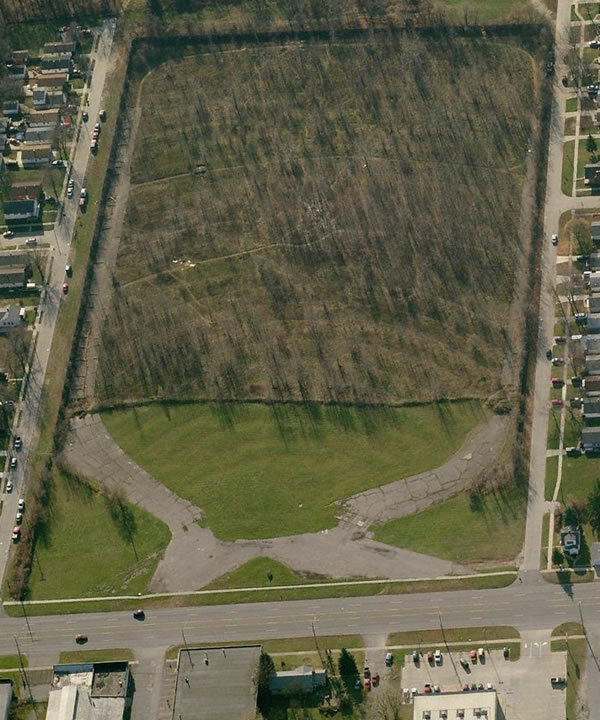 passed by the place the other day, and just thought that you would like to know that they are building a charter school on the back lot of the old drive in. 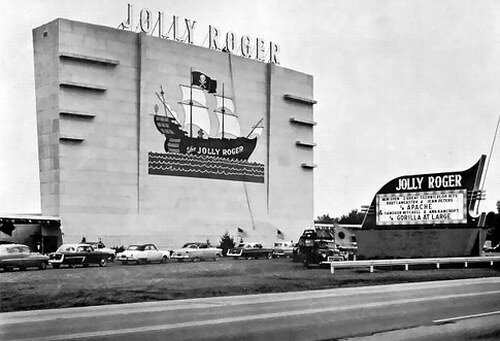 I used to live pretty close to the Jolly Roger. 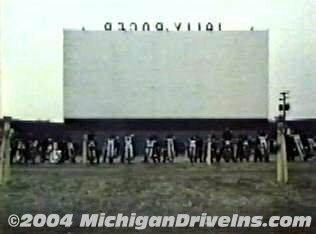 Not as close as I did to a couple of the other area Drive In''s (Michigan/Fort George), but close enough to attend in the theater''s twilight. I believe the last pictures I remember going there to see were Gremlins 2: The New Batch and Total Recall in, what must have been, the JR''s final season, if I have my dates right. 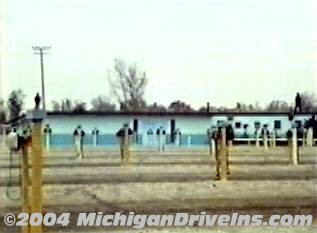 I used to work in Taylor, Michigan and would pass this lot as a short cut to work. 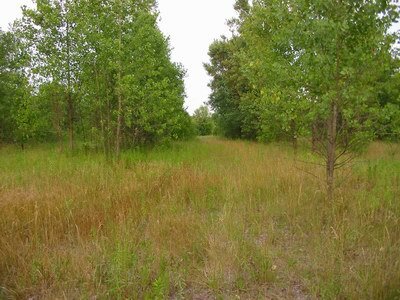 For YEARS the lot has stood overgrown. 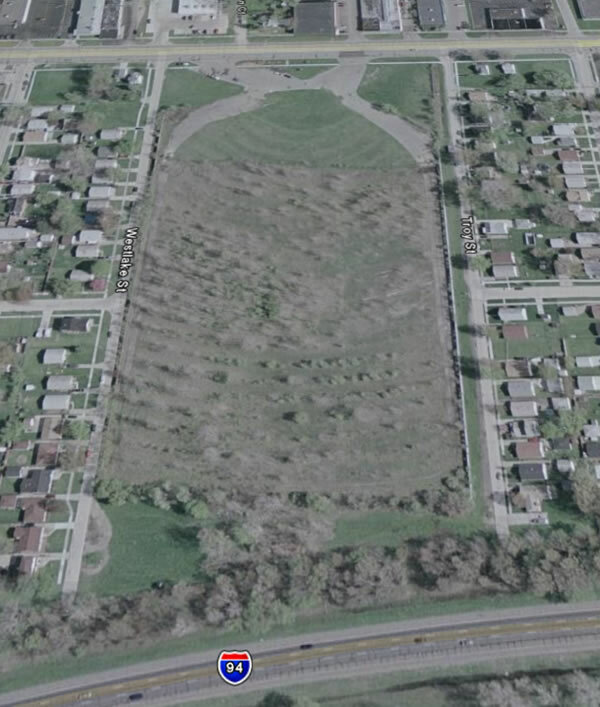 There is now a forest growing there. It''s rather sad to be honest. 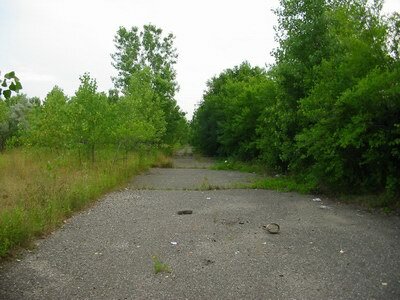 It has been for sale for many moons and yet remains nothing more than an empty, wooded lot. 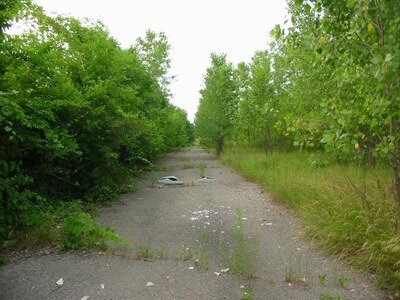 I sometimes used see semi-trucks parked in the drive there with shades drawn (like somebody pulled off into the lot to sleep), but the last I went by it just looked like a wooded, empty lot that nobody cared about. 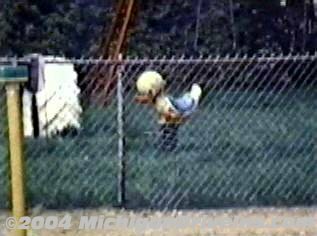 I have never toured the lot since I''m pretty sure it wouldn''t be appreciated by the owners, but somebody I may get up the nerve. 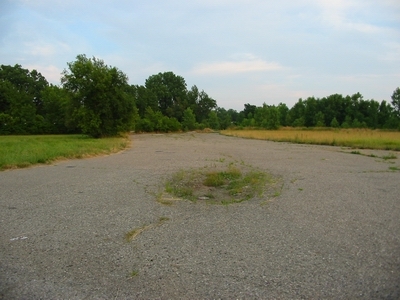 Empty lot, but driveways and ramps can be seen.